Tarts or pies, iced, plain or just a dust of icing sugar? 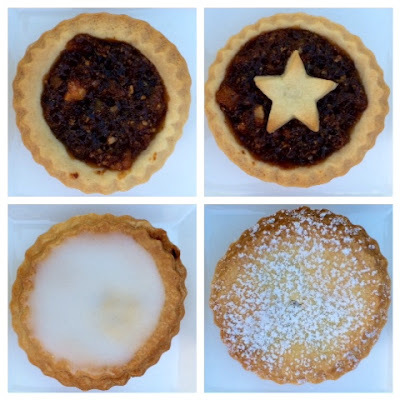 Who would have thought that there could be so many variables for a mince pie. 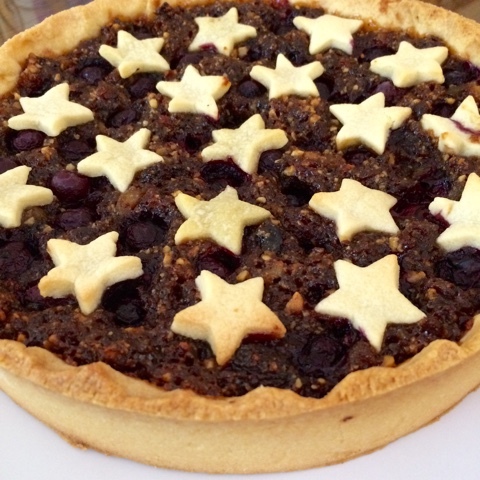 Perhaps it is because there is less pastry in the tart and the little star decorations look festive on the fruit mince. I can happily eat them all. 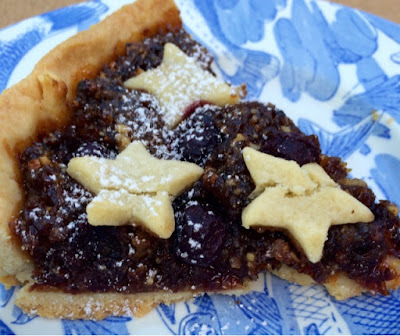 Growing up it was the iced version, later I made pies dusted with icing sugar and now it is tarts with stars unless someone asks for an old fashioned mince pie. 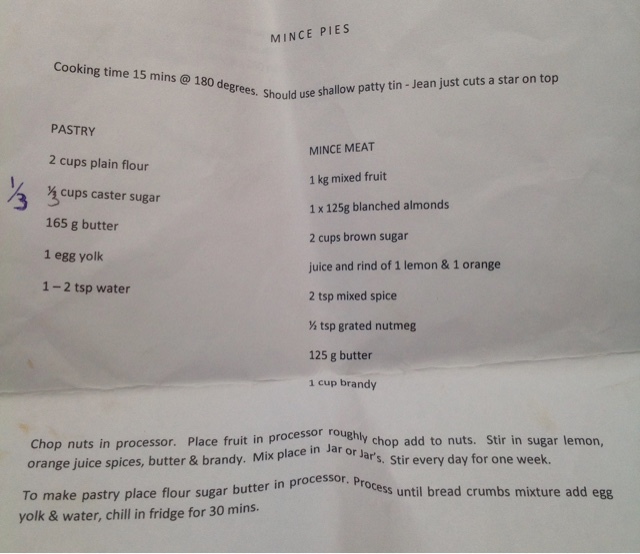 This recipe comes from my friend Jean, her mince tarts are delicious. All my recipes are in a folder, one day I will retype the recipe but for now I am happy to get the paper copy out of the folder. 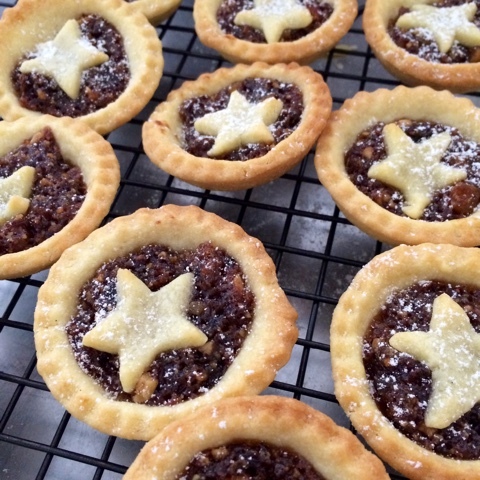 Make the fruit mince a few weeks before Christmas so that the flavours mature and mellow. Use a commercial fruit mince if preferred. Add a little brandy and some grated apple to the commercial mixture for some extra flavour. Make a large tart for dessert. 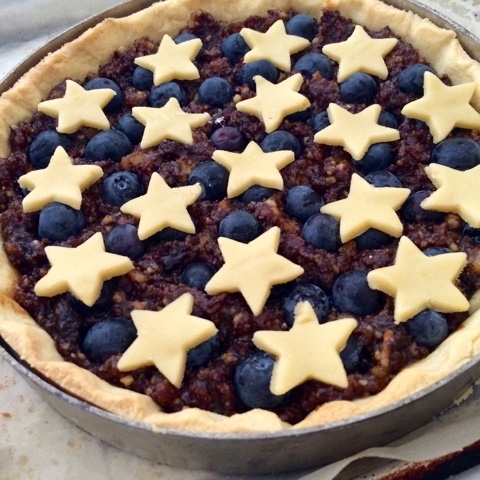 Blind bake the shell for twenty minutes and the add the fruit mince and some blueberries. Decorate with small pastry stars and bake a further twenty minutes. 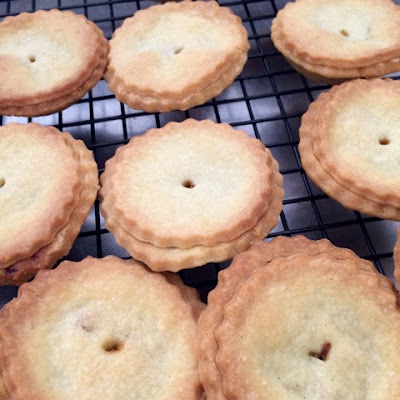 Allow to cool and cut into small wedges, serve with cream or icecream.